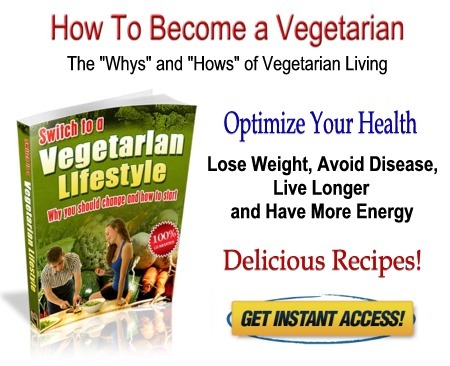 The benefits of a vegetarian diet are many. Today's emphasis on meat-centered diets has been proven to contribute to many of our modern illnesses. Choosing to eliminate or limit the meat you eat can bring you many of the health benefits of a vegetarian diet. The number one cause of death in the United States (and other countries whose citizens eat a lot of meat) is heart disease. The consumption of meat, eggs, and dairy products -- which are the three largest sources of dietary cholesterol -- contribute greatly to heart attacks and other heart and circulatory problems. According to EarthSave, the average vegetarian has about 1/4 the chance of having a heart attack as the average non-vegetarian. As for people who are pure vegans (see Type of Vegetarian), the risk is even lower. They have less than 1/10th the chance of having a heart attack as do non-vegetarians. Clearly, one of the greatest benefits of vegetarian diet plans is the decreased likelihood of heart and circulatory problems. You'll avoid many preservatives and other chemicals (which are common in meat products and are often linked to cancer). You'll avoid exposure to various hormones (which are prevalent in animal feed, and then in animal tissue). Hormones in today's meat supply often disrupt normal hormonal processes in the human body. And, chances are you won't consume as much lactose, which many people cannot digest properly -- and which some dietitians have suggested is a major cause of a variety digestive problems. An additional benefit of the vegetarian diet is that vegetarians tend to naturally consume higher amounts of fiber. Vegetables, legumes, fruit and whole grains are all good sources of dietary fiber, which meat-eaters often don't get nearly enough of. A lack of fiber is another major cause of digestive problems, including diverticulitis and colon cancer. In addition to the health benefits of a vegetarian diet, you will also reduce your share of the suffering that human beings inflict on animals. Statistics show that the average American consumes 2,714 land animals during their lifetime. Many of these factory-farmed animals are raised under inhumane conditions. If you were to stop eating meat, or even cut back substantially, you could literally prevent the suffering and death of hundreds, if not thousands, of animals. And, since cows produce vast amounts of methane (a large contributor to global warming), another benefit of vegetarian diets would be a reduction in factory-farmed beef. Among the other benefits of vegetarian diets, a reduction in the global cow population would benefit everyone for generations to come.